Have you ever felt like you were chasing tomorrow—never satisfied with today? 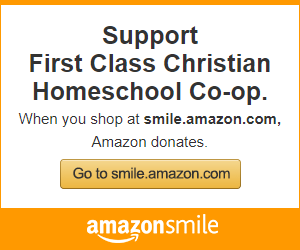 Join me and my friend, KariAnne Wood as we laugh and talk about how to find peace in the everyday challenges of life. She has blue feet today—but she’s still smiling! 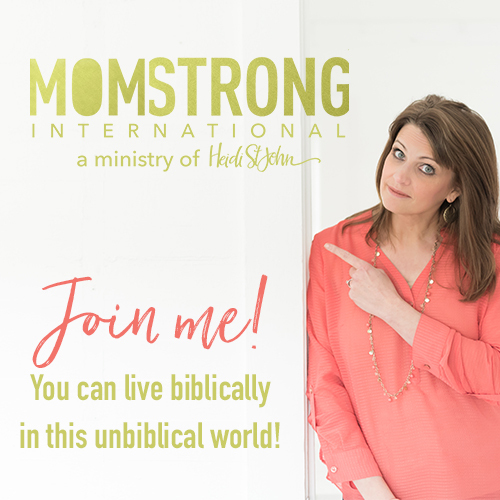 Come find out why—I think you’ll be encouraged! KariAnne Wood writes the decorating and lifestyle blog Thistlewood Farms from her project-filled historic home in Dallas, Texas. She recently followed God’s call and jumped back “home” with her family from the middle of the country to the busy Dallas metroplex where she lives with her husband and four children.If you wander down the tree-lined streets of KariAnne’s beloved hometown, McKinney, you might find her painting mismatched chairs, listening to Christmas carols no matter the season, singing Scripture, or walking hand in hand with her knight-in-shining-armor husband to a Friday night football game. She loves sweet tea with lime, thunderstorms, good books, milk glass, and yard sales, and she is an imperfect DIYer saved by grace. 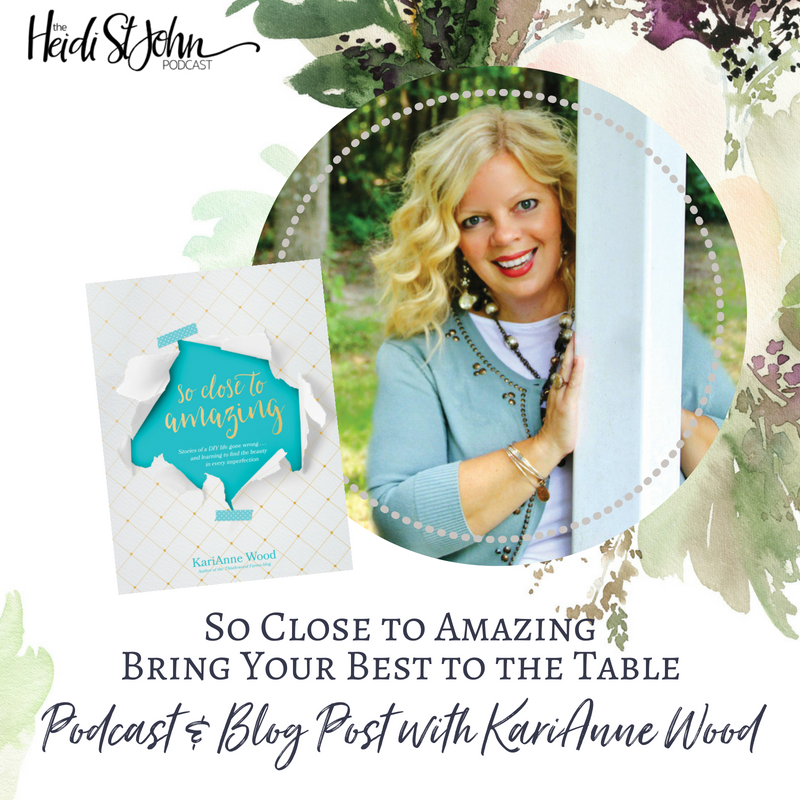 KariAnne’s new book, So Close to Amazing, is a book celebrating the incredible, awesome, special individual within each of us. It’s also a book for anyone who has ever mismatched her shoes or trimmed her own bangs when a professional might have been a better choice or added too much soap to the washer and watched it overflow. 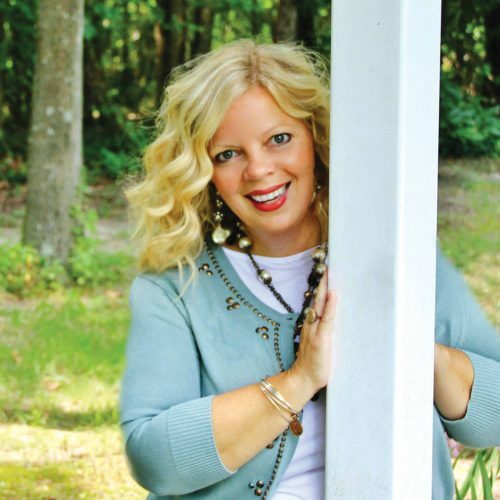 Thistlewood Farms is full of stories of family and faith and features hundreds of the home decor projects KariAnne creates every week for readers. The blog was awarded the Country Living Decorating Blog of the Year, was named one of the Top 10 Decorating Blogs by Better Homes and Gardens, and was voted one of the best DIY blogs of 2015. KariAnne has been featured in Better Homes and Gardens Christmas Ideas, Country Living, Flea Market Décor, Country Woman, HGTV Magazine, the Cottage Journal, the Chicago Tribune, Reloved, and This Old House magazine, and on popular websites including the Today show, Better Homes and Gardens, Country Living, Apartment Therapy, Good Housekeeping, Mediakix, Bob Vila, and BuzzFeed. KariAnne has made appearances on television programs including Nashville Channel 5’s Talk of the Town and Channel 8 in Dallas.